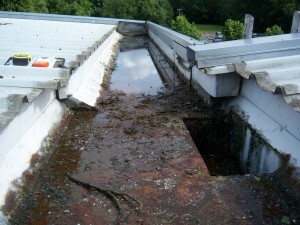 Apart from the misery they cause, leaking industrial gutters cost the British industry millions of pounds every year in production disruption, stock loss and maintenance costs. The permanent solution to leaking gutters. 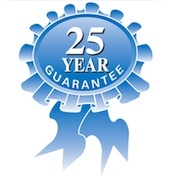 We are fully trained installers of the Gutterline system which is manufactured exclusively by H D Sharman Ltd from there own patented rubberised plygene material, which is incredibly hard-wearing and carries a 20 year manufacturers warranty. Yet is pliable enough to mould to any gutter profile and will tolerate changes in temperature and building movement without splitting or cracking. 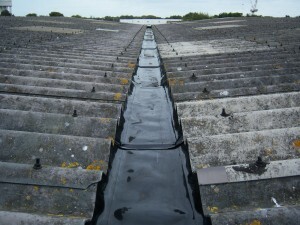 The unique Gutterline system creates a totally sealed, fully waterproof ‘gutter within a gutter’ which when installed correctly will not allow any water to penetrate behind or beneath it. The original gutter is left untouched so there is no need for any structural work. Made to measure for every project. Supplied on a seamless, joint free roll. 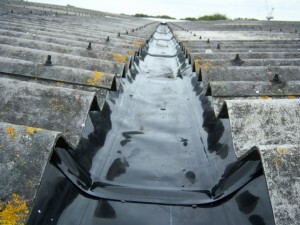 Lined gutter, minimal disruption and cost effective.